CTC Analytics MXY 01-01B HTS PAL Autosampler Liquid Handler 12 Drawers MP 02-00C . 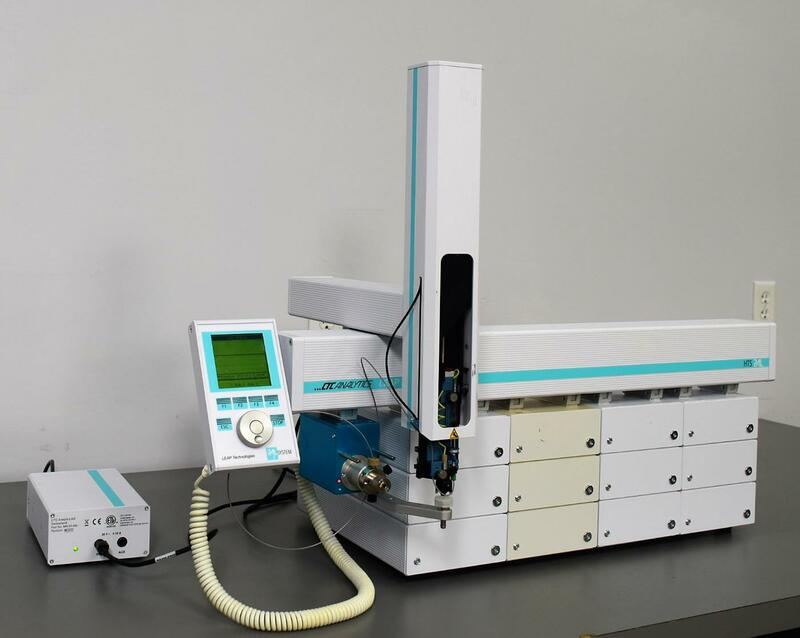 New Life Scientific, Inc.
Our in-house technician inspected and tested this Leap Technologies CTC Analytics MXY 01-01B HTS PAL Autosampler, confirming it to be functional. Technician tested the pendent screen, probe/arm and verified the motorized valve was working. The pendent does show line in the screen but it is still readable, the probe/arm was moved to different locations and the motorized valve works with no issues. The syringe/needle assembly was inspected and the technician found the needle was bent, this will need to be replaced by the end user.